So here we will discuss all important aspects of the Bhamashah Yojana, Bhamashah Card, and other few more things. First of all, we should be aware of what is Bhamasha Yojana Exactly? Let’s discuss this and its benefits for the public of Rajasthan. Under the Bhamashah Yojana of Rajasthan Government, the head lady of the house will get benefits of all Cash, non-cash schemes of the government. The head of the house will be enrolled for the Bhamashah Yojana and her bank account will be connected to the Bhamashah Card. Just click the Citizen Enrolment button and submit your Registration Number. After finding your name in the list, just go ahead to enroll with the App. After Bhamasha Scehem Enrolment, you can download the acknowledgment receipt. NOTE: Residents can also register through Offline mode. 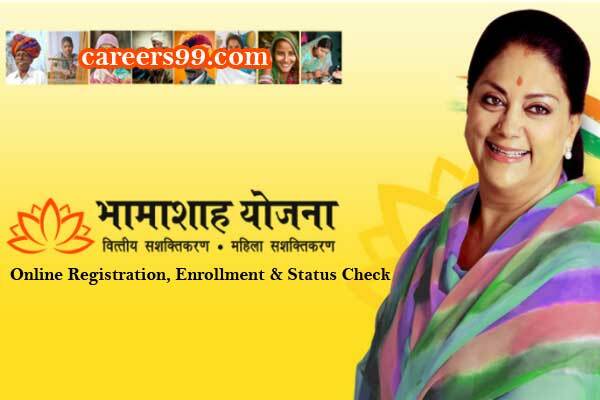 For offline enrolment, the government organizes the camps in all gram panchayats and wards in urban areas.